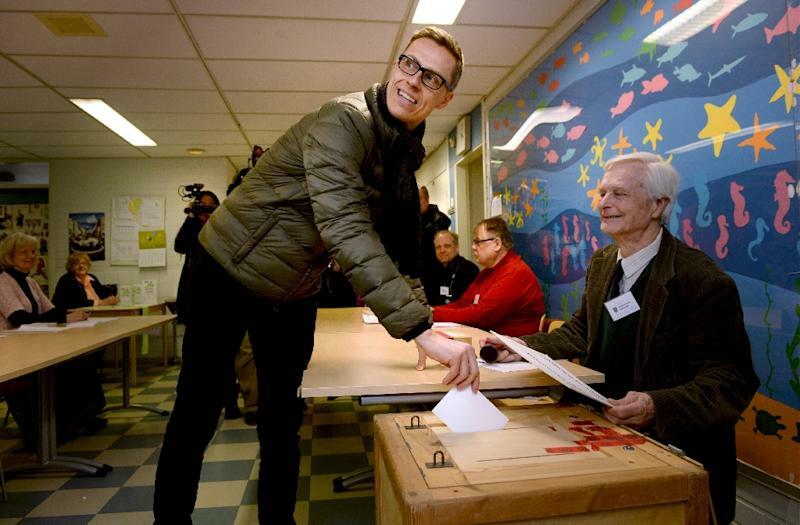 Helsinki (AFP) - Finland's opposition Centre Party came out on top in Sunday's general election, far ahead of the parties in Prime Minister Alexander Stubb's left-right coalition, partial results showed. 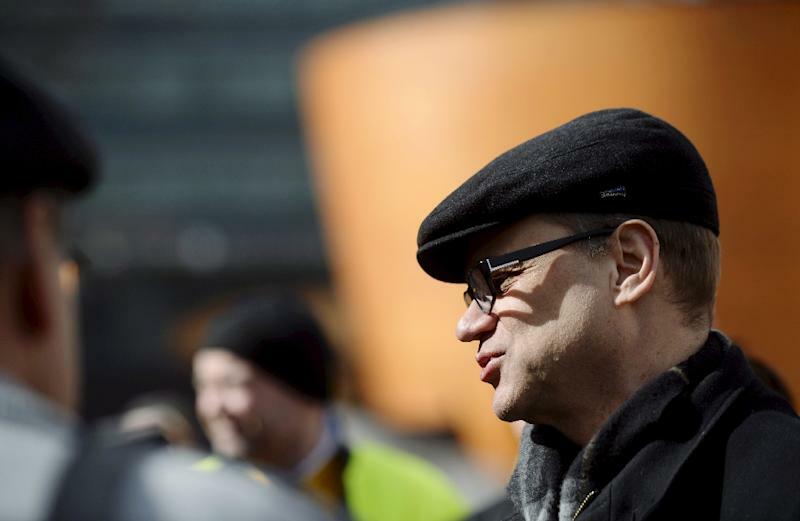 If the results were to be confirmed, Centre Party leader Juha Sipila, a 53-year-old IT millionaire and newcomer to politics, would become Finland's next prime minister. More than a third of the electorate cast their ballots in advance voting and with most of those counted, the Centre Party was seen taking 47 of 200 seats in parliament, a projection by public radio and television YLE showed. The Social Democrats were seen taking 38 seats, Stubb's conservative National Coalition Party 37 seats, and the rightwing eurosceptic Finns Party 33 seats. "I'm really pleased with these results," Sipila said. Asked if he was convinced he would be the next prime minister, he replied: "Not yet. I'm a pessimist and I don't want to be disappointed." Sipila campaigned heavily on his business know-how, vowing to get the eurozone country's economy back on track after three years of recession and stagnation, austerity and failed reforms. Voters were disgruntled with Stubb's four-party left-right government coalition, which has been paralyzed by internal discord and unable to push through any real policy changes. If the Centre's victory is confirmed, Sipila's first task will be to pick his coalition partners. Tradition dictates that the largest party takes the post of prime minister and forms a government with the other largest parties to obtain a majority in parliament. Several weeks of thorny negotiations are expected before Sipila is able to present a coalition, and he has not yet revealed which parties he would like to collaborate with. "The Centre Party will form the next government, but its coalition parties are too close to call," Helsinki University political history professor Juhana Aunesluoma told AFP after the first results were in. "Very difficult negotiations can be expected with the conservatives or the Social Democrats," he added. Elected to parliament in 2011, Sipila became Centre party leader in 2012 when he was still virtually unknown to most Finns. His party, which has been in the opposition since 2011, has however been a dominant force in Finnish politics, fostering 12 prime ministers. The election campaign was dominated by Finland's struggling economy. The country was long a top performer in the eurozone, hailed by Germany and credit rating agencies for running a tight economic ship. But it has failed to adapt to a rapidly changing economic climate. The two pillars of its economy, the forestry sector and technology industry led by one-time giant Nokia, have shrunk dramatically, while two of Finland's biggest trading partners, Russia and the eurozone, are slogging through their own economic woes. Unemployment is at its highest level since 2003, at 9.2 percent. "The main point in this election is the bad economic situation in Finland, so I voted for people I believe are experts in the economy," 64-year-old Jorma Mahonen said after casting his ballot in Helsinki. Rafael Donner, 25, was pessimistic. "I don't think this election is going to change much. Society won't accept that GDP can't grow forever," he said. "I believe we in Finland have enough. I look at my friends and they all have iPhones, go on holiday to nice places, and have brunches every weekend." Faced with Finland's economic woes, "the government programme will be quite difficult to create," Aunesluoma predicted. Sipila has vowed to create 200,000 private sector jobs in 10 years. "We need... new entrepreneurship and new jobs in the whole of Finland. We need bold solutions (and) goal-oriented leadership," he said on the eve of the election.